The company, which uses social media to crowdsource ideas and launch new products, has raised a total of $56 million over three funding rounds. Julep, the self-described makeup brand for the social media age, has raised another $30 million in a third round of funding from new and existing investors. The company, which began life as a Starbucks-inspired nail salon, uses Facebook, Pinterest, Twitter, and other social media as an online focus group, gathering feedback from consumers and incorporating it into the product development process. Its nail polishes and other beauty products are sold online, in Sephora stores, and on QVC. Using that method, Julep can introduce more products into the market faster than traditional makeup companies. Included among the new investors in the round are Azure Capital, Madrona Venture Group, and Altimeter Capital. They join previous investors Andreessen Horowitz, and Maveron, the venture capital firm started by Starbucks founder Howard Schultz. Jay Z’s Roc Nation, which invested in an earlier funding round, did not participate in the latest one. Julep has raised a total of $56 million over three funding rounds dating back to June 2005. The beauty company raised $10.3 million in its previous funding round in February 2013. 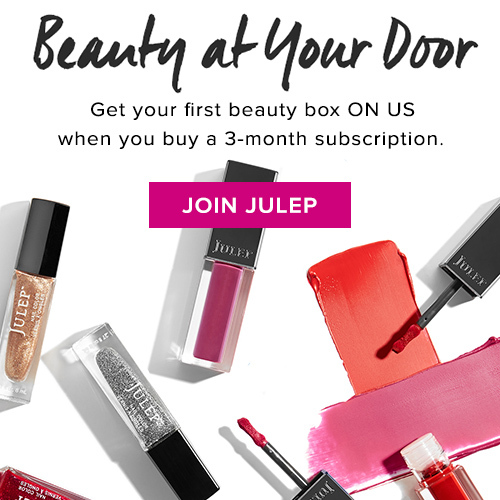 Not unlike other privately held startups, Julep has not disclosed any sales or subscriber figures for its monthly beauty boxes, except to say that its revenue from e-commerce sales tripled last year. Park, a Princeton and Yale Law School alum who was the director of new ventures at Starbucks before starting Julep, initially envisioned taking elements of the coffee chain into a high-end nail salon concept. After establishing Julep “parlors,” she added a subscription-service for the brand’s nail colors called “Maven” — different from Birchbox in that the items are all created by Julep — that took off. That marked the start of Julep’s transition from its brick-and-mortar ambitions into an online beauty brand, helped by a stocked board including execs from Zulily and Sephora.com. The company’s use of social media to crowdsource product ideas contrasts with the large print campaigns makeup brands often use when introducing new collections. In May, for instance, Julep will release “The Plié Wand,” a new nail polishing tool created and funded by Julep customers.